8 Things Ironman Athletes Believe. When the top pros line up with wide-eyed age groupers in Kona it gets serious. People get nervous. They don’t sleep the night before. They throw-up the morning of. For us, it doesn’t get any bigger than Kona. So it is worth de-pressurizing before race day. There is no better way to take the pressure off than poke good-natured fun at ourselves and lift some of the weight off our shoulders. After all, triathlons are like fun, but different. And by the way, I’ve been guilty of every one of these. Here are 8 things we believe as triathletes. When you think about them for even a moment, well… it all becomes less serious. 1. We believe there actually is a tangible difference in bike aerodynamics. Every modern triathlon bike is fast. All of them are aerodynamic. The largest determining factor in our bike performance is our physical fitness. Every bike company claims their bike was developed in the wind tunnel and is the fastest. They can’t all be right. Ultimately it comes down to having the miles in your legs and a good bike position. Contrary to what the marketing guys would have us believe, Kona isn’t won in the wind tunnel. It’s won with your legs. And your guts. 2. We Believe We Are Awesome. Triathletes in general, especially in Kona, think we’re awesome. We are our own biggest fans. Look at our Facebook, Instagram and Twitter during Kona week. And here is a reality check: We’re right. 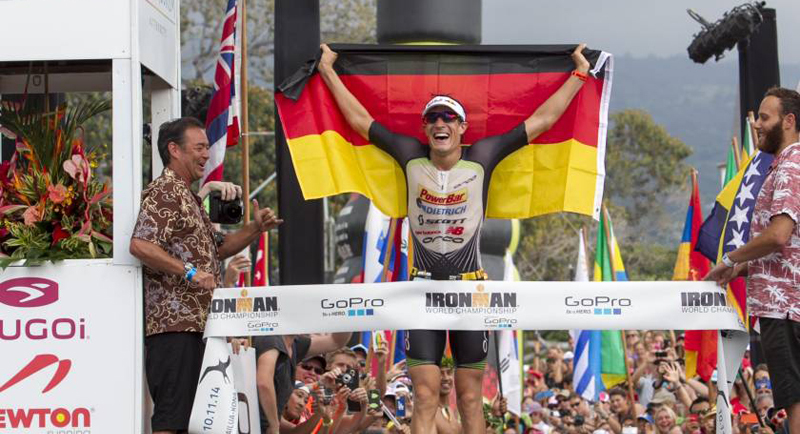 No other sporting event is like the Ironman World Championships. You can be the biggest football fan in the world, but you’ll never snap the ball at the 50-yard line during the Superbowl. You’ll never start from the grid in a Formula 1 race in Monaco. But at Kona, you and I do the exact same course, in the exact same conditions, on the same day as the top pros. I don’t know of another major sport (and yes, we’re “major” now) where this is possible. Author Arthur C. Clarke once said, “We each create our own reality.” In Kona, the only thing required for you to be awesome, is for you to believe it. 3. We think our stomachs are “special”. I can’t drink what is in the aid stations, I can’t eat chocolate after mile 40 (exactly mile 40), I need a special drink, in a special container, in my special needs bag. It has to be a special temperature. Nothing else works. I can eat only Hershey bars, tuna (packed in spring water), free-range, gluten-free figs and drink only Di-Hydro Zullified Endurospritz sports drink, a special sports drink made in Uzbekistan for Olympic curlers. It’s the only sports drink that works for me. Ever. Everything else makes me sick. The truth is you can train your stomach to use almost anything as fuel. It takes time and adaptation, and it’s too late for that now. So enjoy your tuna and figs, and don’t forget, there are Porta-Jons every mile on the run. That might even make you run faster. 4. We spent $20,000 to get to Ironman, but may not be able to change our own $10 inner tube. It’s too late to do anything about that tonight, so I hope you have fresh tires and good karma. And by the way, the reason they call it “Neutral Support” is because when you get a flat on the bike course, they may as well be in Switzerland. 5. We know best. What? “Nothing new on race day?” Phooey. After traveling half way around the world it makes perfect sense to buy a new saddle, cycling shoes, triathlon clothes, energy gel and sunscreen at the expo two days before race day, then use them all in the race. When our crotch is numb, our eyes are burning, the contents of our stomachs are in our tri shorts and our feet are on fire it is the manufacturers’ fault. Because we are Ironmen, and we know best. Oh, and don’t forget, nothing new on race day. 6. I research my equipment, and buy with empirical logic that would be the envy of a NASA engineer. We read, obsess, post on forums, make spread sheets, read some more, obsess a lot more, then buy the coolest looking thing. See #5 above. 7. We don’t care about bike weight. Even though the aid stations are 5 miles apart on the bike course, we have five full waterbottles, 20 gels, eight powerbars, 30 salt tablets with dispenser and sunscreen. We also carry an iPhone, power meter, two spare tires, four CO2’s, a Garmin and deep section aero wheels. But since #5, and even though #4, and understanding #3, our bike weighs… 31 pounds on race day. But since #2, this doesn’t bother us much. 8. 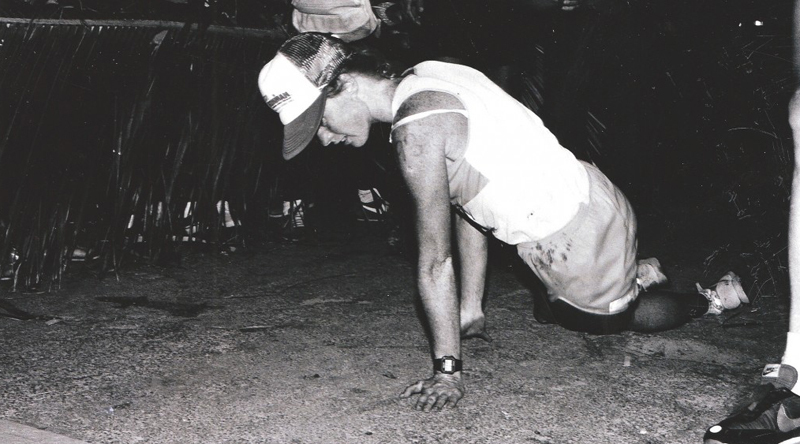 Triathlon didn’t exist before us. Dave who? Scott what? And who is this “Paula” girl anyway? This is a participant sport. We don’t put our stars on very high pedestals. We’d rather be there ourselves. And besides, after you’ve peed your tri shorts for the fourth time on the way out of the Energy Lab and the sun is beginning to set over Kailua-Kona, who cares who won? If you are racing tomorrow in Kona, to paraphrase Teddy Roosevelt, know that you are in the big arena. The big show. Your face will be covered by dust and sweat, but hopefully no blood (depending on the swim…). You will know the great exertions, the great devotions, and you will spend yourself in a worthy cause. So that your place shall never be with those cold and timid souls following you on the live feed who know neither victory nor defeat. Most importantly of all, have a great race. I wish I were there with you to share the greatest race on earth.